Yosef (Giuseppe) Naḥmuli (also, Nachmuli, Nakamuli; 1821-1886) was a journalist, educator, and lawyer. A leading figure of the Sepharadi community of Corfu, Greece, he was a member of the committee of the Alliance Israelite Universelle. He published several books for teaching languages (Greek, Italian and French) to young Sephardim and in 1861 founded the bilingual newspaper, Israelite Chronica / Cronaca Israelite in Greek and Italian, which was published until 1863. Rabbi Mara Nathan of Temple Beth–El, San Antonio, Texas, is the first woman to serve as senior rabbi of a major congregation in the State of Texas (having served since July 2014). Rabbi Nathan was ordained by the Hebrew Union College-Jewish Institute of Religion in New York in 2000. She was a recipient of the Steinhardt Fellowship; a scholarship awarded to rabbinical students to further informal education with teens and college age students, and received academic awards for Hebrew, History and Talmudic studies. She received a Bachelor’s of Arts Degree in history as well as certificates in Jewish studies and women's studies from Northwestern University in 1993. As a high school student, she studied flute at the Juilliard Conservatory Pre-college Program. Her extensive musical training and experience enables her to incorporate her voice, flute and guitar into her service leading and other programs. Prior to Temple Beth-El, Rabbi Nathan served as the Associate Rabbi and Director of Congregational Learning at Larchmont Temple in Larchmont, NY, where she worked in various capacities from 1994-2014. During her almost twenty years of service at Larchmont Temple, she played an instrumental role in all aspects of congregational life including spiritual worship, ritual, and lifelong learning. Rabbi Nathan has served on the board of the Central Conference of American Rabbis, and is a member of the Women’s Rabbinic Network. She is also a past president of the Westchester Board of Rabbis. Rabbi Nathan has served on the faculty of URJ’s Greene Family Camp in Bruceville, Texas and Eisner Camp in Great Barrington, Massachusetts. 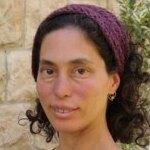 Rabbi Dr. Haviva Ner-David is the Director of Shmaya: A Ritual and Educational Mikveh, and the founding director of Reut: The Center for Modern Jewish Marriage. She has also written Chanah’s Voice: A Rabbi Wrestles with Gender, Commandment, and the Women’s Rituals of Baking, Bathing, and Brightening (2013, Ben Yehudah Press). In 2006, Rabi Ner-David was was given semicha by Rabbi Dr. Aryeh Strikovsky of Tel-Aviv. In 2000 she wrote a book documenting her journey and aspirations as a female rabbi entitled, Life on the Fringes: A Feminist Journey Toward Traditional Rabbinic Ordination. She lives on Kibbutz Ḥannaton in northern Israel with her husband and seven children. Ruth Nevo (1924- in Johannesburg, S.A.) Israeli professor of humanities, has been a member of the Israel Academy since 1985. Shlomit Nulman is a special education teacher in Israel. She loves teaching Tanakh to her students and bring the sources to modern life and help bring out enjoyment of these texts, regardless of religion and beliefs. As an educator, she helps to mediate texts and ideas with her students and in general to help all people who want to learn.